New middle-power country partners for South Africa? After a decade in the foreign policy wilderness, South Africa is looking to reshape its global and African footprint. 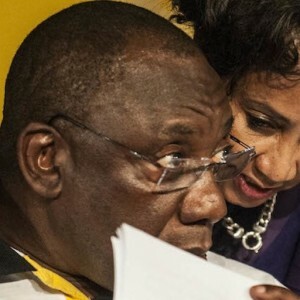 An Institute for Security Studies (ISS) analysis of international power suggests that under President Cyril Ramaphosa, South Africa could benefit from fresh thinking on new peer-group partnerships. Speaking in Parliament in February, Higher Education Minister Naledi Pandor summarised the essence of an emerging foreign policy under Ramaphosa. ‘Africa lies at the heart of South Africa’s international cooperation policy,’ she said. ‘Our commitment is to deeper integration and cooperation through increased trade, shared markets, and the development of strong institutions.’ She said it was time to return to a foreign policy that prioritised human rights, and with international rule as a foundation. Former president Jacob Zuma’s tenure undermined South Africa’s standing in Africa and globally. He certainly didn’t share his predecessor Thabo Mbeki’s keen sense of international politics or the same passion for uplifting Africa. Whereas Mbeki sought and built strategic international and African partnerships, Zuma’s multilateral engagements were comparatively limited with the important exception of South Africa’s membership of the Brazil, Russia, India and China (BRICS) grouping. Instead of serving as a bridge between developed and developing countries – which was an important characteristic of foreign policy under both Nelson Mandela and Mbeki – South Africa under Zuma aligned itself with China and Russia. This was sometimes against the interests of important traditional trading partners including the European Union (EU). Zuma appeared to prioritise specific bilateral relations such as with the Central African Republic. In the process, South Africa seemed to undermine the values enshrined in the constitution regarding human rights, democracy and a rules-based global order. Networks and partnerships augment a state’s power, and South Africa’s diminishing multilateralism has detracted from its ability to translate power capacity into influence by working with other like-minded states. South Africa has to work hard to rebuild global respect and trust, but needs to first establish who it is and what it stands for. The ISS analysis of potential middle-power partnerships offers some insight by drawing on the Global Powers Index (GPI), part of the International Futures (IFs) forecasting system. GPI is unique as it attempts to include aspects of soft power in its calculations and forecasts of state power capacity, such as the number of embassies and treaties a state is party to. Other components in GPI include the contribution of demographics, technology, size of the economy and military capacity. The ISS analysis sought to identify potential global partners to South Africa with whom it had strong trade relations. These countries shared its democratic values and were set to expand or generally retain their share of global power into the future. To determine which countries were potentially in the same global ‘power league’ as South Africa, the ISS used GPI to distinguish between five broad groupings. The US (with 22% of global power capabilities) is in a league of its own. China (with 13%) is rapidly increasing its power capabilities at the expense of others – the US in particular. Other large powers are Japan (5.4%), Germany (4.9%), France (4.8%), the UK (4.3%), Russia (4.2%) and India (3.2%). Power is shifting, and by 2030 China would have overtaken the US with 19.6% of global power (the US would have 18.9%) and India would have moved to third spot with 5.7%. At a global level the EU (without the UK) would, by 2030, have 16.8% of global power while the UK, having left the EU, would have 3.8%. Whereas the EU’s 28 member states increasingly act with a common foreign and security policy orientation, the same couldn’t be said of the BRICS group that would have 31% of global power capacity by 2030 and the G7 that would have 38.2%. The African Union in 2030 would include 55 countries that collectively would have less than 3% of global power capabilities. The essential challenge for South Africa, currently the most enthusiastic member of BRICS, is that its membership of this grouping is vastly disproportionate to its global power ranking (or capabilities). South Africa is at best an appendix or vassal within the group, with limited ability to influence outcomes or behaviour. Below these larger groupings and more powerful countries follows a broad category of middle powers that have between 3% and 0.3% of global power potential. That list includes 33 countries, starting with Brazil (at 2.2%) and ending with Nigeria (0.3%). Other countries in that category include Saudi Arabia (1.8%) and Australia (1.7%). Mexico, Turkey and Indonesia have almost 1% of global power capabilities each. South Africa currently has 0.4% of global power – the most of any African country. Its portion of power capabilities will decline to 2030 when it will have slightly less power capability than Nigeria and be just ahead of Egypt globally. Although Nigeria’s economy is now larger than that of South Africa, it remains a poor country with much more limited soft power capacity than South Africa, and low technology. The next step in the ISS analysis used the Polity IV dataset on democracy to determine which of these 33 middle power countries generally shared South Africa’s (democratic) values and commitment to human rights. This step removed five countries from the original list: Saudi Arabia, Iran, the United Arab Emirates, Singapore and Thailand. A third step used GPI to forecast which of the remaining 28 countries would increase their share of global power capabilities to 2030 or, like South Africa, experience a modest but not precipitous decline. A final step looked at levels of trade with South Africa. The reasoning here was that it would be difficult to build relationships from scratch and that any future engagement needed to build from a substantial flow of goods, services and finances. Only countries with which bilateral trade exceeded US$200 million a year with South Africa stayed on the list. Eleven countries subsequently remained from the original 33: Mexico, Turkey, Indonesia, Israel, Sweden, Pakistan, Argentina, Iraq, Malaysia, Ireland and Nigeria. Other countries that could easily be added since their relative decline in international power capabilities would be similarly modest to that of South Africa by 2030 would include Australia, Algeria, Austria, Norway, Denmark and Poland. Brazil, the largest and most important country in Latin America with a clear interest in Africa, also needs to be considered as a potential partner. The final line-up provides an interesting if unexpected list of potential middle-power countries with which South Africa could explore future peer partnerships. In making policy decisions that impact on the future, analysts and policymakers should consider the potential of forecasting tools to help understand likely future shifts in power capabilities. The results of such analysis could inject some innovative thinking in considering potential partners under Ramaphosa’s leadership.